GreenTeam Service Corp: Backflow Theft Update! 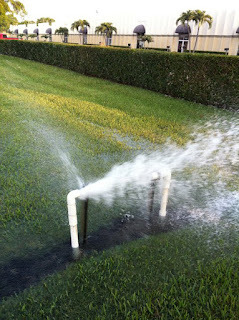 Just mere days after the string of backflow preventer theft hit Oakland Park, the same situation occurred in Coral Springs. On the evening of May 10th, ten backflow systems were broken and stolen. This was the situation at one location in Coral Springs. You can see the pipes were smashed open in the same fashion as the Oakland Park thefts. 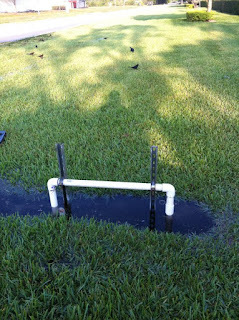 Water was flowing freely, creating a small river in the grass and running up water bills for local residents. Once we were able to get the water flow under control, this temporary fix was put into place while waiting for new parts to arrive. For more information on backflow preventer systems and all your plumbing needs, visit our website or call us today! 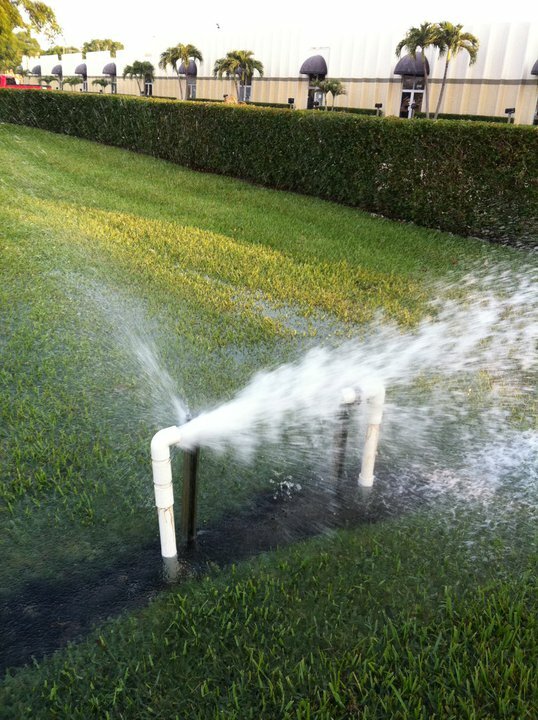 Backflow Preventer Theft Hits Oakland Park, Fl.